Our grassroots efforts are garnering attention. We are thrilled to have been honored by the Retailing, Sporting, Health-Conscious & Green communities. What’s the buzz? Read on. The brand is now proudly available through BeautyKind and with every BeautyKind order, you can direct 5% of your total purchase to a cause of your choice. Download PDF here or read feature here. Duggan Sisters return to WGN Radio RedEye Remix July 28, 2014. Do you have any idea what’s in that chemical bug spray that you use to deter those pesky mosquitoes? It’s not good stuff, that’s for sure. Amy once again welcomes The Duggan Sisters into the studio to chat all things natural when it comes to getting rid of those blood sucking pests, and living a more natural life. Listen in to our midsummer encore appearance. WGN Radio’s own Amy Guth doesn’t stink! This former stinker switched to‪ lifestinks on election night and never looked back. Amy talks with the lovely and amazing Duggan sisters – entrepreneurs who have taken the downs in life and turned them into some serious ups. All natural, chemical-free deodorant and insect repellant – find out why they went into the smelliest business around! Listen in on this fun late night show. Gluten can be an ingredient in lip gloss, creams, hair products and other items, which can be an issue for those with celiac disease or a gluten sensitivity. New gluten-free products are an option. Read more. The Duggan Sisters, producers of Lifestinks® deodorant, and other natural products, are working frantically to make a name for themselves. This year they are vowing to do things differently by investing in the help they need to take their rightful place in the retail aisles. Read more. Duggan Sisters took BEST OF SHOW at the New York International Gift Fair! Those of you who follow our little business know it was nothing short of a miracle that we even got there. Believe me, setting up our modest little booth in the large shadow cast by personal care product giants like Crabtree & Evelyn and Caswell Massey was really intimidating. So to be seen, really SEEN, as we stood in the shadow of 3,800 other exhibitors is amazing and goes a long way towards ending a difficult year on a high note. Read more. It’s official folks, the Duggan Sisters garnered yet another holiday gift guide selection! Clearly, lifestinks® deodorant is on trend this holiday season as a healthy and imaginative gift. Check out the wonderful gift ideas the folks at Health Source Magazine have put together; but hey only order lifestinks ® deodorant, please. Read more. Bottom line, if you are using mainstream deodorant you are putting yourself and your health at risk. Lifestinks® has the solution, they have developed a non-toxic, all natural deodorant that works; yes, it actually works. Read more. We’re highlighting small businesses from around the country as nominated by you, our readers. Read the complete Duggan Sisters small business spotlight at www.foxbusiness.com! Jean Kolb, Director of Wellness at Kohler Co., celebrates the Duggan Sisters’ wellness message. As keynote speakers at Kohler“s 3rd Annual Women’s Wellness Weekend, the Duggan Sisters shared their comprehensive “Creating a Space for Wellness” message. Any warm bath purifies the skin but this treatment takes it to a deeper level. The Complete Harmony process combines the application of cool compresses and a warm soaking bath…adding the Duggan Sisters smartsoak®. Read about Kohler’s Complete Harmony DIY Spa treatment here. “Smartsoaks turn your post run bath into a mini spa retreat.” Read more at www.active.com! Jenny Hadfield, an endurance athlete, coach, author, and speaker shares the latest new products in the world of running. 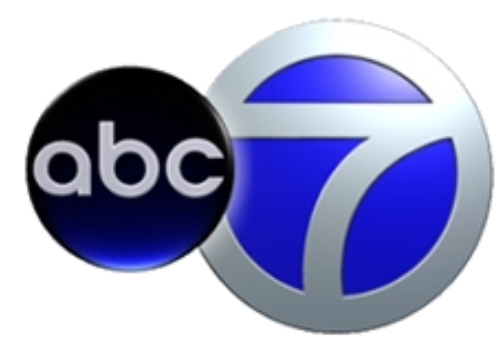 Watch the video at ABC-7 Chicgo. “This product could run for president.” Read more at www.active.com! “Most natural deodorants don’t work, but this actually works. It’s 100 percent effective and talc free — I’ve used it since July,” boasts Qaiyum, holding up Lifestinks Extra Strength Cedarwood Deodorant, a cleverly-named natural deodorant containing aluminum-free sodium bicarbonate, tea tree oil and cedarwood oil. Read the complete Chicago Sun-Times article. Merz Apothecary highlights the Duggan Sisters’ lifestinks® deodorant on the WGN Midday fix with Robert Jordan. Click here to see lifestinks on WGN-TV. Life has its ups and downs, and for some like the Duggan sisters, it may have seemed more down than up. From dealing with their own major health issues, divorces, nightmare basement renovations and a web designer who sent them a Dear Jane email the night before their website was to be launched, these ladies just kept going up. Read more here. Beverly resident Mary Duggan has worn a lot of different hats in her adult life, including writer, university professor, and interior designer. She was known as “the doctor” in college because of her interest in healing and wellness and, these days, could even be called the Paula Deen of raw foods. Read more here. Outside the air is frigid and snow is piled up everywhere. But inside the East Beverly home of sisters Annie and Mary Duggan, it’s warm and cozy, with the light aroma of lavender in the air. Read more here.